WHAT IS IT? The Dunlop Geomax MX32 front tire is now called the Dunlop MX3S (because there was a conflict with a Pirelli tire of the same nomenclature). 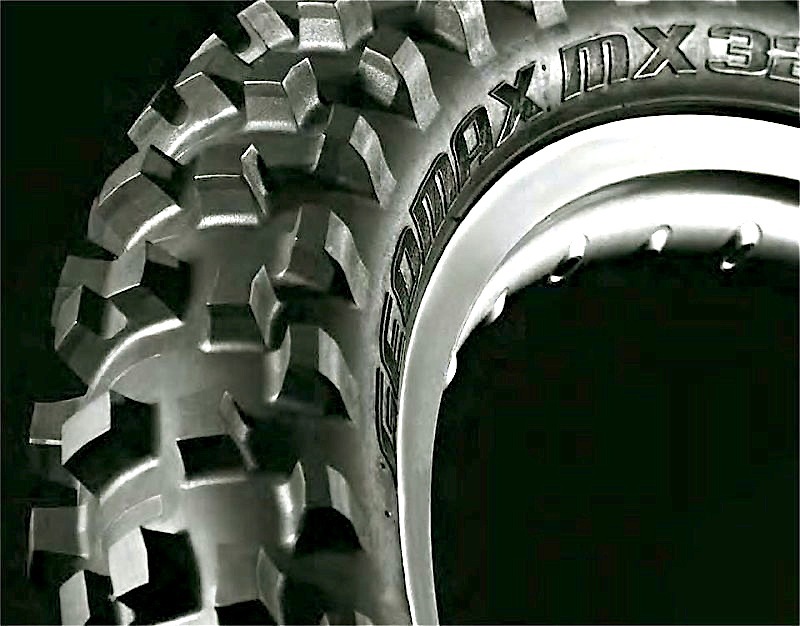 The MX3S is a soft to intermediate terrain tire that comes stock on 2016 KTMs and replaces the previous MX31 and MX51. WHAT STANDS OUT? Here’s a list of things that stand out with the Dunlop Geomax MX3S front tire. (1) Changes. Dunlop’s MX3S front tire resembles the MX31. The similarities are more visual and terrain-based than actual performance. The MX3S’s technological upgrades are as follows: a directional tread pattern (pay attention when mounting), an enhanced carcass tension-control system, staggered middle blocks, elimination of the tie-bar design and race proven knob placement. (2) Performance. Is the MX3S better than the replaced MX31 and MX51? Yes. In terrain conditions such as prepped dirt, mud, sand and loam the MX3S is at its best. Surprisingly, the tire does not lose much performance in dry conditions. Can a tire have too much grip? At 12.5 psi our intermediate and Pro testers though so, but our lower level riders welcomed the extra grip. It was most noticeable in ruts. The side knobs would adhere to the inside of ruts making the front wheel turn in. We ran the MX3S front with 13.5 psi for fast riders, while Vets and Novices preferred 12.5 psi. (4) Value. With the Dunlop MX3S front, you get what you pay for, performance. It has an expensive retails price, but keep in mind your local dealer’s price will be much more reasonable. The MX3S front had more grip than we knew what to do with. It works best on prepped dirt, sand, mud, disced dirt and loam.